At Russell’s we understand the compassion necessary to handle your delicate belongings. You will ALWAYS be treated like family because our customers are at the forefront of our company. What you can come to expect from Russell’s is sincerity, honesty, and organization you can count on. Russell himself has been in the moving and storage industry since the age of 19. He is a strong leader that firmly believes in the “old-school” way of doing business, and family values. Russell wasn’t always sure that the moving and storage industry was for him, but moving and storage always seemed to pull him back in. After several years working for other companies in the industry it became clear that he needed to venture out on his own, and with a single van and strong determination – he did just that. 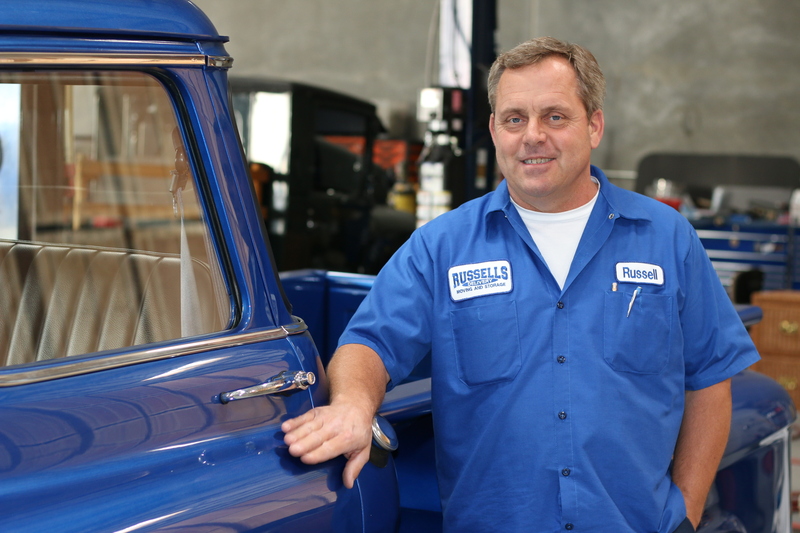 Long days, and years of effort have built the Russell’s that you see driving down the street today in their blue and white trucks. From day one Russell’s goal has always been to create a memorable experience for his customers, Russell invests the time, and takes a personal approach to ensure that each customer feels valued. This is the difference you will recognize with Russell’s compared to any other moving and storage company. Experience The Russell’s difference for yourself.